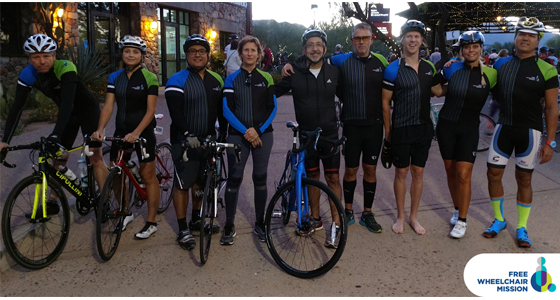 A team of ambassadors in Arizona raised enough funds at the Tour de Scottsdale to give wheelchairs to 375 people – and, because of the X2 challenge, their gift was matched, doubling their impact to 750. 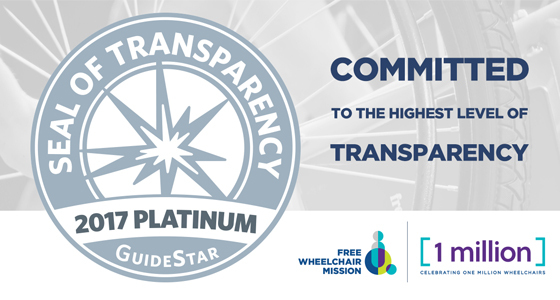 Free Wheelchair Mission was awarded the GuideStar Platinum Seal of Transparency for the second year in a row. 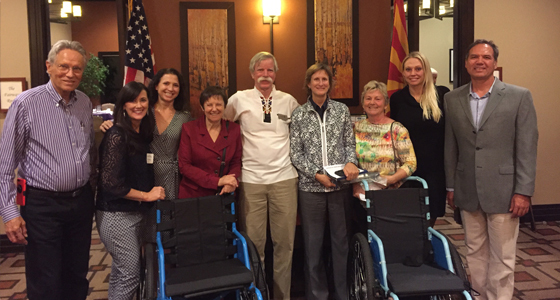 The generous people of Prescott, Arizona raised enough funds at Prescott’s Miracle of Mobility for approximately one container of wheelchairs – that’s around 500 people who will receive the gift of mobility. 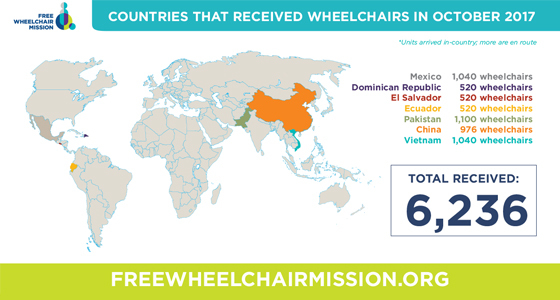 A total of 6,236 wheelchairs arrived in Mexico, the Dominican Republic, El Salvador, Ecuador, Pakistan, China, and Vietnam. 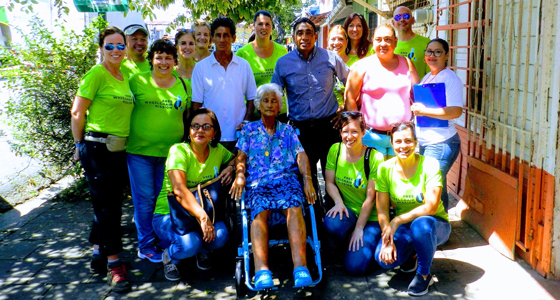 A team from Right at Home distributed wheelchairs on a vision trip to Costa Rica. We’ll be sharing more of their stories in the days to come. 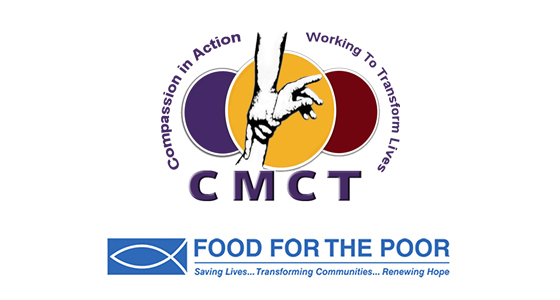 Three new partners were approved to distribute wheelchairs: Jesus Responds in Paraguay, Christian Mission Charitable Trust in India, and Food for the Poor in Columbia. All of this is made possible by people like you. With your prayers and support, over one million lives have been transformed by the gift of a wheelchair since 2001.